Charles Frederick Gurney Masterman PC (24 October 1873 – 17 November 1927) was a radical Liberal Party politician, intellectual and man of letters, He worked closely with such Liberal leaders as David Lloyd George and Winston Churchill in designing social welfare projects, including the National Insurance Act of 1911. During the First World War, he played a central role in the main government propaganda agency. He was distantly related to the Gurney family of Norfolk. His great-grandfather was William Brodie Gurney; his brother was Howard Masterman who became the Bishop of Plymouth. Masterman was educated at Weymouth College, Christ's College, Cambridge, where he was President of the Union, and joint Secretary of Cambridge University Liberal Club from 1895 to 1896. At university he had two primary interests: social reform (influenced by Christian Socialism) and literature. His first published work was From The Abyss, a collection of articles he had written anonymously whilst living in the slums of south east London. These were highly impressionistic pieces, and reflected his literary leanings. Following this he became involved in journalism and co-edited the English Review with Ford Madox Ford. In 1901, he edited a collection of essays by eminent people of the day, entitled The Heart of the Empire: a discussion of Problems of Modern City Life in England. A second edition of that book was published in 1907. In 1905 he published In Peril of Change, a collection of his own essays. He also wrote a biography of the Reverend F D Maurice (Frederick Denison Maurice), which was published in 1907. During the period of his life up to 1906, he established many of the literary friendships that would be important in his later role as head of British propaganda in the First World War. He was an unsuccessful candidate at the Dulwich by-election, 1903, but in the Liberal Party landslide victory at the 1906, he was elected as Member of Parliament (MP) for West Ham North. He married Lucy Blanche Lyttelton, a poet and writer, in 1908. In 1909 he published his best known book The Condition of England, a survey of contemporary society with particular focus on the state of the working class. Masterman worked closely with Liberal leaders Winston Churchill and Lloyd George on the People's Budget of 1909. By 1911 Is playing a major role in writing parts of the Finance Bill, the Development Bill, the Shop Hours Bill, and the Coal Mines Bill, and was responsible for the passage through parliament of the National Insurance Act 1911. He had a mediocre record as a candidate, losing more often than winning. 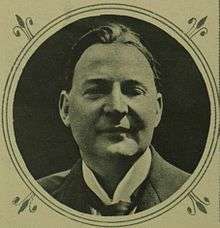 Masterman was re-elected in January 1910 and in December 1910, but the December election was later declared void. 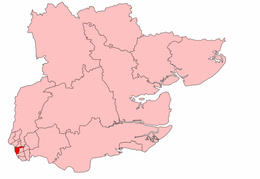 He was returned to Parliament at a by-election in July 1911 for the Bethnal Green South West constituency. He joined the Privy Councillor in 1912, and in 1914 obtained his most important position, an appointment to the Cabinet as Chancellor of the Duchy of Lancaster. However, the law at that time required him to recontest his seat in a by-election on joining the Cabinet. Masterman lost his own seat and then stood in a by-election at Ipswich, losing again. He resigned from the Government as a result. Masterman strongly supported entry into the First World War. He served as head of the British War Propaganda Bureau (WPB), known as "Wellington House." Masterman's Bureau enlisted eminent writers (such as John Buchan, H. G. Wells and Arthur Conan Doyle) as well as painters including Francis Dodd, Paul Nash. Until its abolition in 1917, the department published 300 books and pamphlets in 21 languages, distributed over 4,000 propaganda photographs every week, and circulated maps, cartoons, and lantern slides to the media. Masterman also commissioned films about the war such as The Battle of the Somme, which appeared in August 1916, while the battle was still in progress as a morale-booster and in general it met with a favourable reception. The Times reported on 22 August 1916 that "Crowded audiences ... were interested and thrilled to have the realities of war brought so vividly before them, and if women had sometimes to shut their eyes to escape for a moment from the tragedy of the toll of battle which the film presents, opinion seems to be general that it was wise that the people at home should have this glimpse of what our soldiers are doing and daring and suffering in Picardy". A major objective of Masterman's department was to encourage the United States to enter the war on the British and French side. Lecture tours and exhibitions of paintings were organised in the US drawing on an extensive network of the most important and influential figures in the London arts scene, Masterman devised the most comprehensive arts patronage schemes ever to be supported in the country. It was subsumed into John Buchan's Department of Information. It became a template for the war art scheme in the Second World War, headed by Sir Kenneth Clark. Lloyd George demoted Masterman in February 1917; he now reported to John Buchan. The agency was peremptorily closed as soon as the war ended, and neither Masterman nor Buchan received the usual public honors. However Masterman did follow Lloyd George in his Liberal party maneuvers after 1918. Masterman played a crucial role in publicising reports of the Armenian Genocide, in part to strengthen the moral case against the Ottoman Empire. For his role in this, Masterman has been the target of repeated Turkish allegations that he fabricated, or at least embellished, the events for propaganda purposes. For the 1918 General Election, Masterman returned to West Ham where he had sat for 5 years before the war. He contested the new seat of Stratford West Ham. However, his old boss Lloyd George chose to endorse his Unionist opponent and he was well beaten. Back in private life, Masterman continued his high output of books and essays. In 1922, he published How England is Governed. In 1921 he supported the Manchester Liberals radical programme adopted by the National Liberal Federation, that called for the establishment of a National Industrial Council. The programme also called for state supervision of trusts and combines, nationalisation of some monopolies and profit limitations. For the 1922 General Election, Masterman decided contested Clay Cross in Derbyshire. At the previous election in 1918, the Liberal candidate had been endorsed by the Coalition Government and won. He subsequently took the Coalition Liberal whip and was defending his seat as a National Liberal with the support of Lloyd George. The local Liberal association wanted an opponent of the coalition to run as their candidate and managed to attract Masterman. He out-polled the sitting member by nearly two to one but the seat was won by the Labour candidate. After the 1922 General Election, there was discussion in Liberal circles, of Lloyd George and his National Liberals returning to the party. Masterman was concerned about such a move and talked about defecting to the Labour Party if that happened. Masterman's good political relationship with the Manchester Liberals resulted in him being invited by them to contest one of their constituencies, which he accepted. The Manchester Liberals won five seats at the 1923 General election, including Rusholme where Masterman stood. Following his election victory in 1923, Masterman revealed to his wife Lucy that he "thought we were never going to (win) again". In August 1924 he led opposition to a Russian treaty negotiated by the Labour Government which guaranteed a loan to the Soviet government. During the 1924 election campaign, Masterman publicly blamed Prime Minister Ramsay MacDonald for the collapse of Liberal-Labour co-operation. In 1925 Masterman became the Parliamentary Correspondent for The Nation. Having initially expressed concerns about Lloyd George's return to the Liberal Party, by 1925 Masterman acknowledged that it was again easier to get the party to adopt measures of social reform when he said "When Lloyd George came back to the party, ideas came back to the party". Lloyd George sponsored a number of reviews into areas of Liberal Party policy and Masterman participated in those reviews, notably as part of the body that produced the policy document 'Coal and Power'. He was also on the committee that ultimately produced 'Britain's Industrial Future', known as 'The Yellow Book'. His health declined rapidly, hastened by drug and alcohol abuse. He died in November 1927. He was buried in St Giles' Church, Camberwell where a plaque commemorates him and other members of his family. 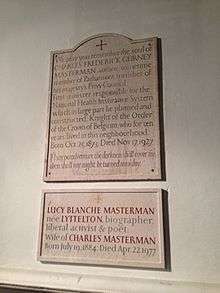 Lucy Masterman's biography of him was published in 1939. ↑ "Masterman, Charles Frederick Gurney (MSTN892CF)". A Cambridge Alumni Database. University of Cambridge. ↑ "Espionage, propaganda and censorship". National Archives. Retrieved 2009-05-17. ↑ D. G. Wright, "The Great War, Government Propaganda and English 'Men Of Letters' 1914-16." Literature and History 7 (1978): 70+. ↑ Seth Kove, "Masterman, CFG" in Fred M. Leventhal, ed., Twentieth-century Britain: an encyclopedia (Garland, 1995) pp 502-3. David, E. I. "Charles Masterman and the Swansea District By-Election, 1915." Welsh History Review= Cylchgrawn Hanes Cymru 5 (1970): 31+. Hopkins, Eric. Charles Masterman (1873-1927), politician and journalist: the splendid failure (Edwin Mellen Press, 1999). Mason, Francis M. "Charles Masterman and National Health Insurance." Albion 10#1 (1978): 54-75. This article is issued from Wikipedia - version of the 8/4/2016. The text is available under the Creative Commons Attribution/Share Alike but additional terms may apply for the media files.